This affordable, value-packed Magtech .45 ACP (Auto) ammunition delivers top-notch performance for target shooting and tactical practice. Each factory fresh cartridge is topped with a high-quality 230 grain full metal jacket (FMJ) projectile. 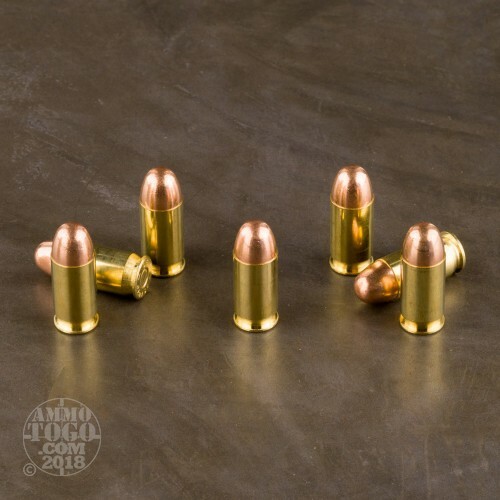 These jacketed bullets reduce lead build-up in the barrel, making them great option for the high-volume target shooter. Each round produces a consistent muzzle velocity of 837 feet per second with 358 foot pounds of muzzle energy. Founded in 1926, Magtech focuses on manufacturing economically priced ammunition that does not compromise on reliability or performance. The company produces all its own components from high-quality raw materials, saving production costs and ensuring consistency. All Magtech ammunition is manufactured to meet SAMMI and CIP specifications. 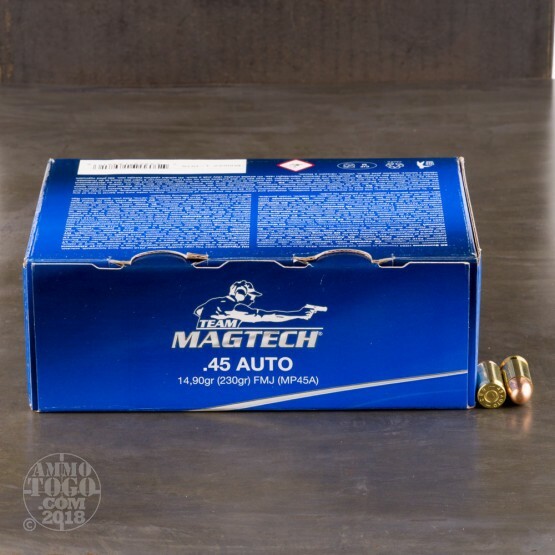 This value pack contains 250 rounds of non-corrosive, boxer primed Magtech ammunition. 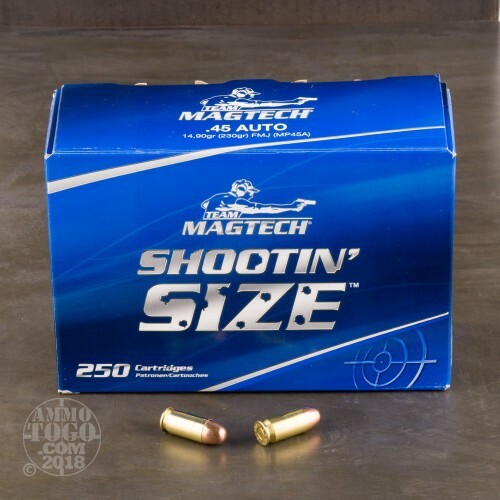 This ammo features quality brass cases that are fully reloadable. Good ammo. Good price. The maufacturer's packaging is rather annoying, but not a show stopper. There are five 50-round bricks in the box, and the bricks are not individually boxed. 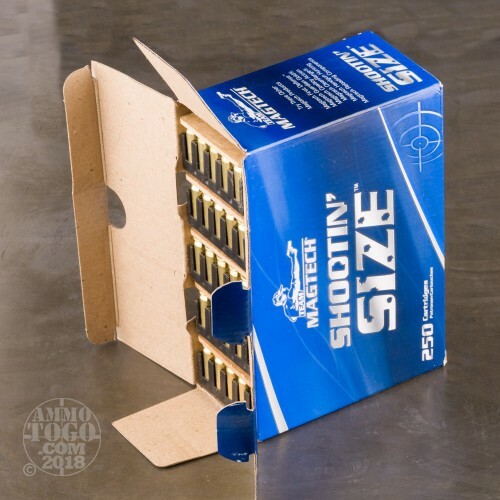 If you don't want to carry to entire 250 round box to the range, you'll need to put the rounds into another container. Despite the packaging, I would buy it again.